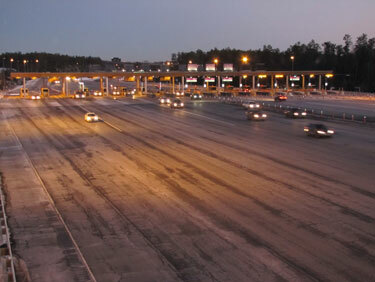 WASHINGTON — The Loudoun County Board of Supervisors voted Wednesday night to appeal the long-running case over Dulles Greenway tolls to the Virginia Supreme Court. The State Corporation Commission ruled in September that the rates the commission has approved are reasonable in comparison to the benefit obtained by drivers who use the road and in relation to costs for the private road’s operators. The flat rates, which state law allows to increase with inflation each year through 2020, are $6.20 at rush hour and $5.30 at other times. After a closed meeting on the issue, the outgoing Loudoun County Board of Supervisors approved Matt Letourneau’s motion to spend $95,000 from a litigation contingency fund on outside lawyers for the appeal to the state Supreme Court. “The citizens of Loudoun County have been dealing with the plague known as the Greenway – or the ‘Greedway’ – for quite some time,” Letourneau said. Since the Virginia Supreme Court is required to hear the case, Letourneau says the appeal is worth it. “We have been told that it will be an uphill battle, but it’s still a battle worth having, and it’s a battle that you want to be well armed for,” he says. Only Supervisor Ken Reid voted against the move, saying that he did not think the litigation would get anywhere. Reid said he believes a focus on alternative option drivers would be more useful.